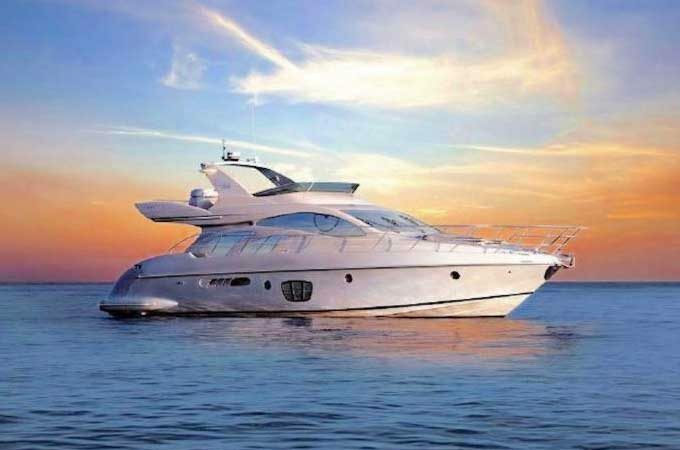 Welcome onboard Yacht After 8, a superb 55ft cruiser boasting Azimut’s signature sophisticated design. 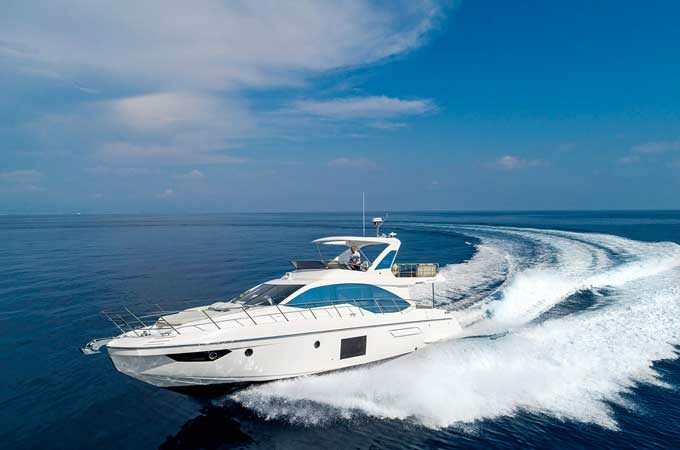 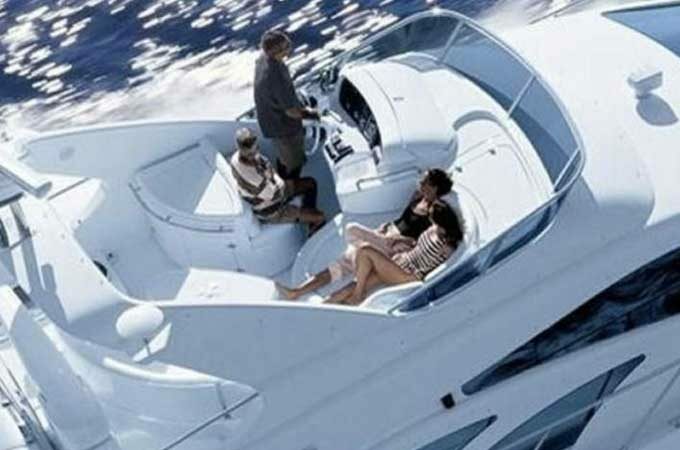 Whether for a family vacation or with friends, she is the perfect boat to enjoy azure waters of Phuket islands. 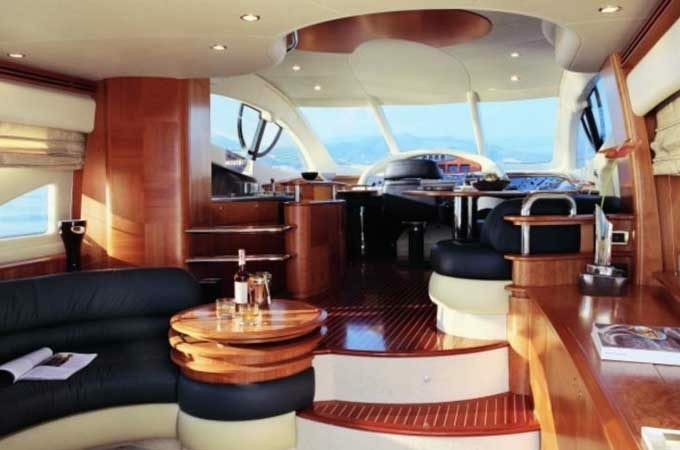 Yacht After 8 has a generous saloon with a spectacular open plan layout creating a breathtaking full-length vista from the teak decked cockpit to the inside helm. 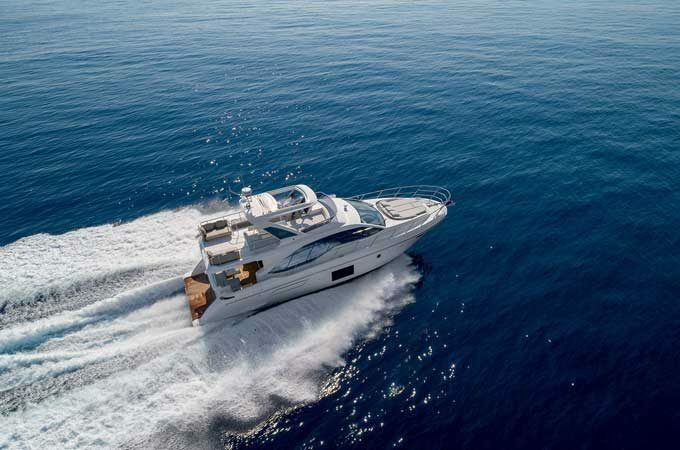 In true Azimut style, her hull is built for smooth, passage and excellent handling in the most challenging sea conditions. 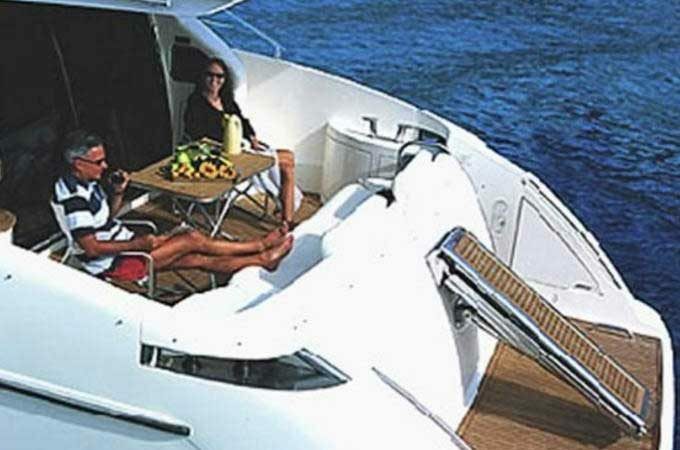 The stairs to the port leads the way to the flybridge, which has a large U-shape sofa opposite to the helm and a spacious sun pad to the aft. 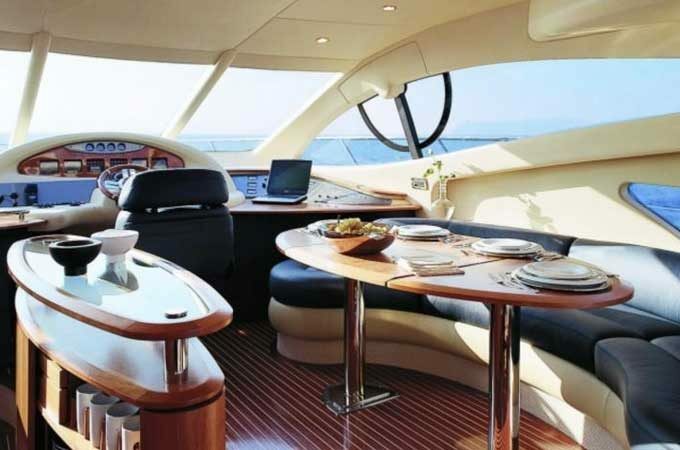 Inside the salon, Lacquered cherry wood cabinets and trim are used throughout the interior. 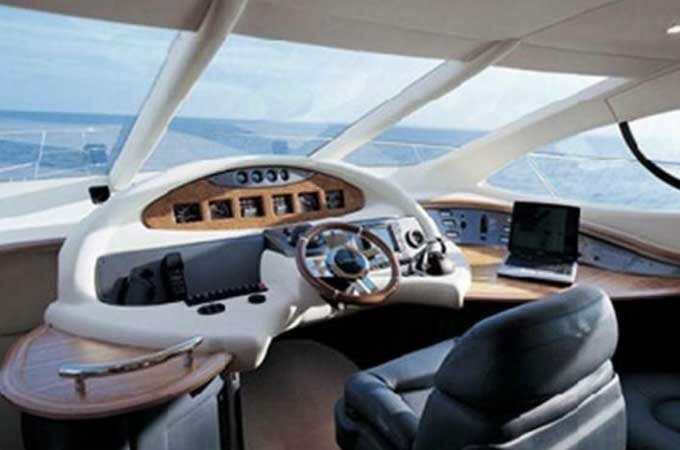 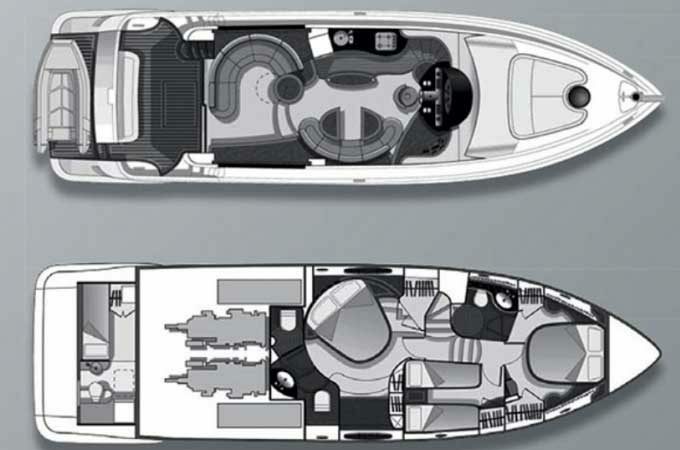 After 8 features a C-shaped leather cream colour sofa to port and the entertainment centre to starboard. 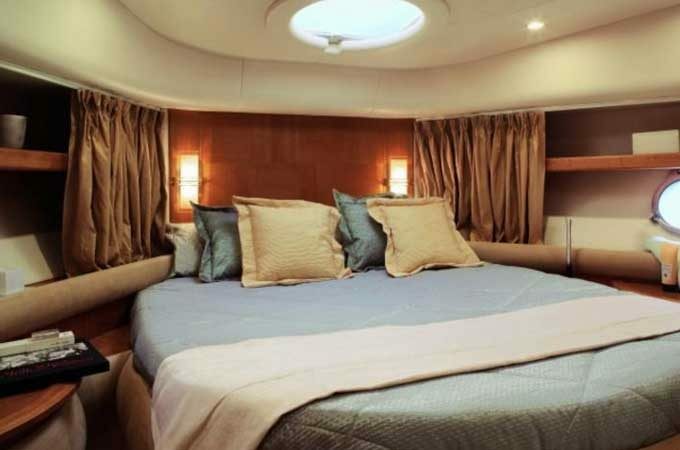 The galley and dining area are two steps up to the forward part of the salon. 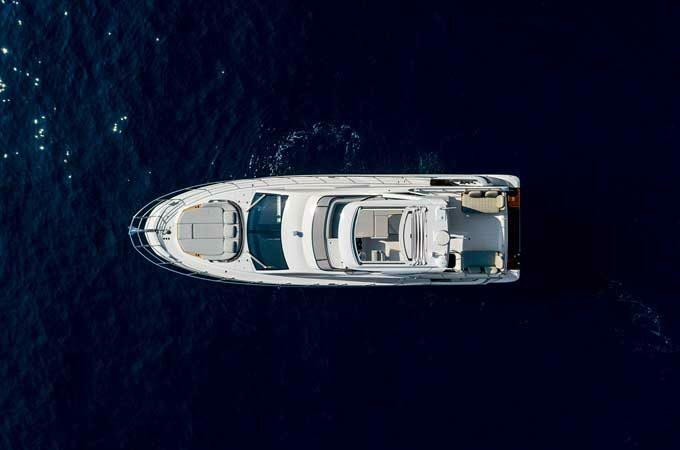 Down below there are three staterooms and two full heads: the full-beam master, VIP queen forward, and guest cabin with side-by-side twin berths. 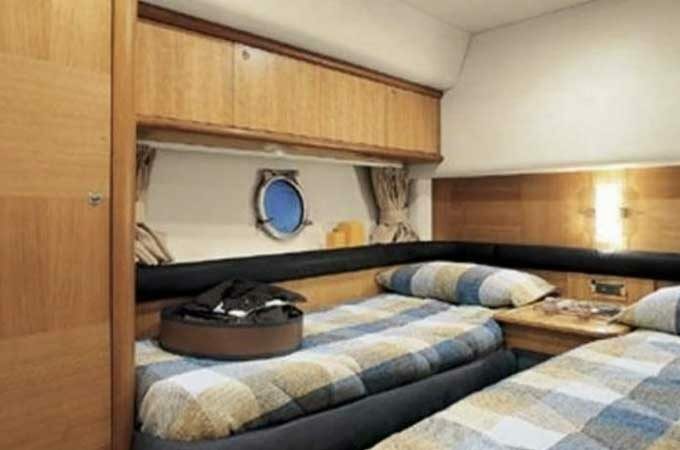 The crew quarter is equipped with a single berth and toilet at the stern, accessible from a hatch in the aft deck sole. 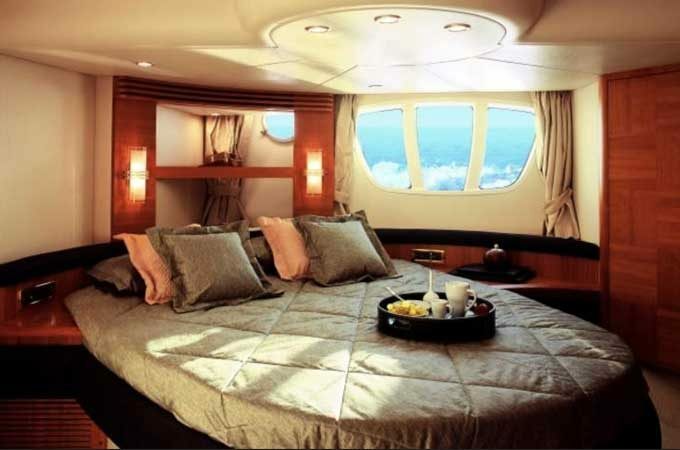 After 8 could sleep up to 4 adults and 2 children. 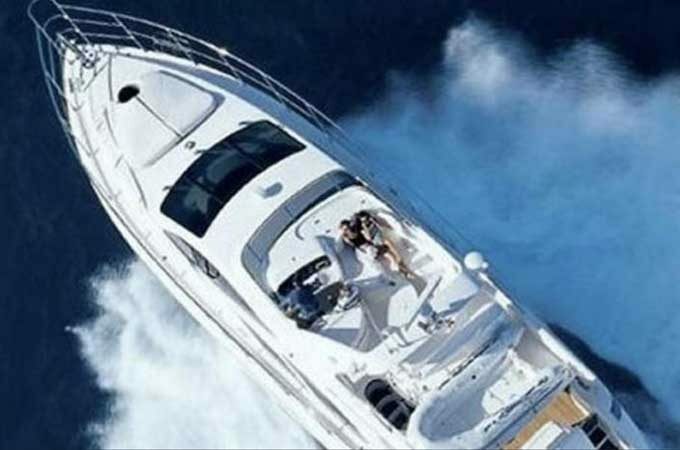 She’s offered for both daily and overnight charters with 3 crews: one captain, one deckhand and one Thai/hostess.